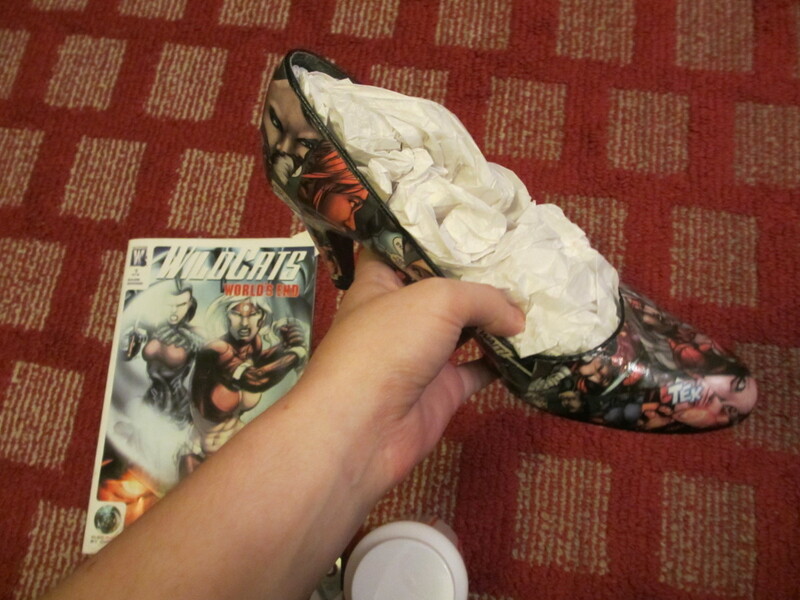 I love comic books, DIY projects, and unique fashion, so when I stumbled across a great comic book shoe tutorial online, I had to try it for myself! 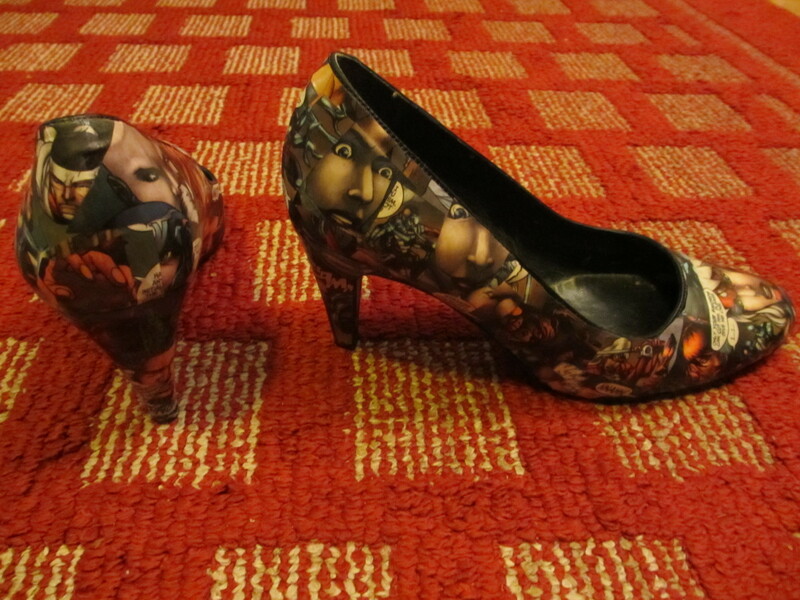 I had a great time making these pumps and I've gotten tons of compliments and positive feedback wearing them. I'll detail my particular experience and methods in this Hub for anyone else who may want to make a pair. 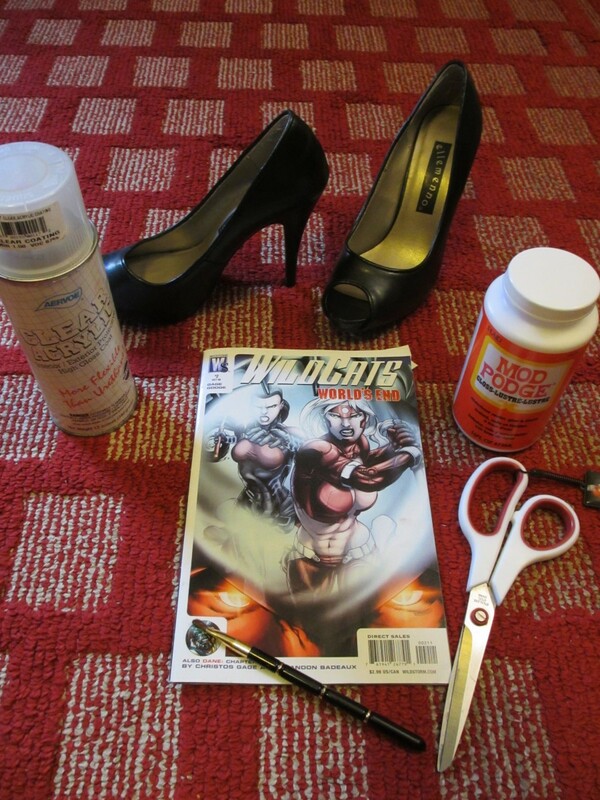 Here's what you'll need to get started making your own comic book heels! Pick out a pair of killer pumps! Choose any style of shoe you like, but make sure you stick to plastic or leather. 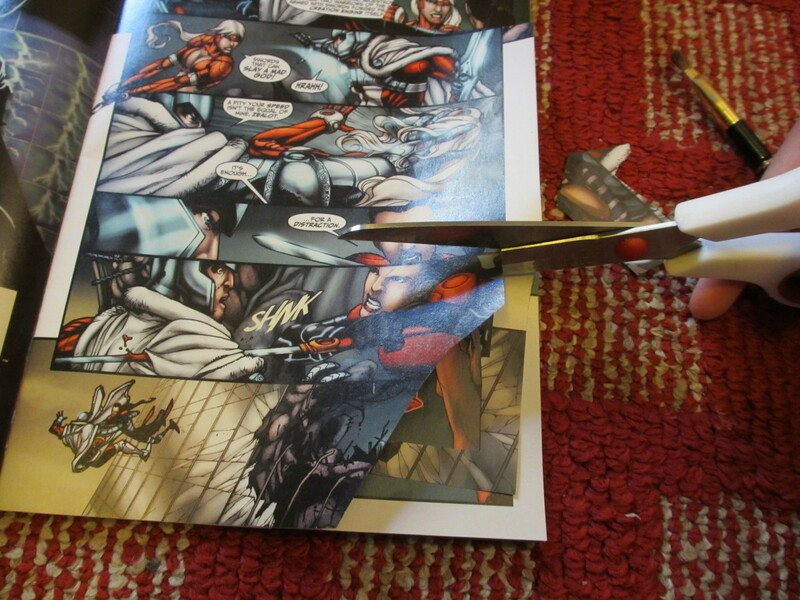 Glue doesn't stick to fabric easily and the comic book clippings won't lay perfectly flat on a woven surface. Decide on a comic book to use. I chose a crappy one that was 25¢ at the used book store because I didn't want to destroy a really good one, but don't feel bound by MY constraints! Try using one with your favorite superhero, one with lots of great action shots and KAPOWs, or just one with an art style you love. Get some crafting glue and clear acrylic spray. I used Mod Podge (about $6-9) and Aervoe Clear Acrylic (about $5-8), but get whatever brands you prefer. Clear acrylic comes in different finishes, so choose a glossy or flat finish according to how shiny you want your finished product to look. Once you've got your materials together, identify pictures from the comic book you want to use on your heels and clip them out. 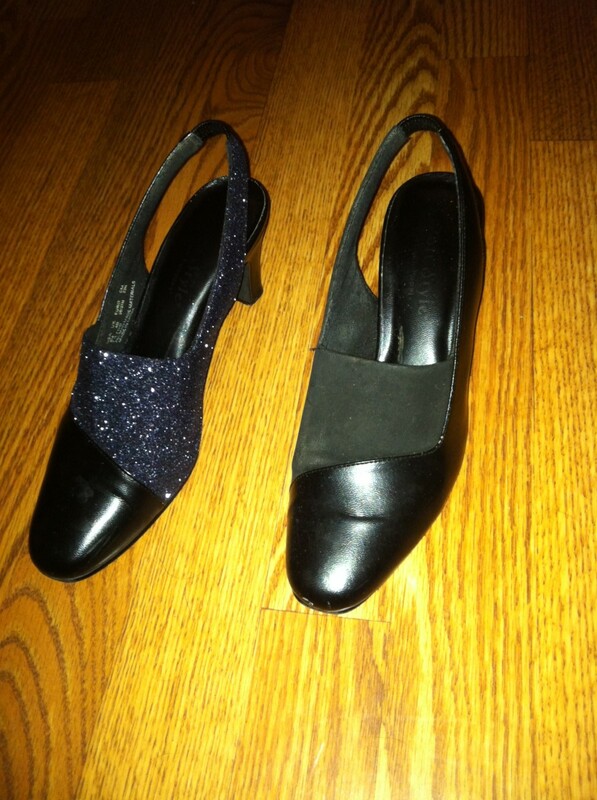 You can lay out the entire shoe design before you start gluing or clip and glue as you go (I did the latter). 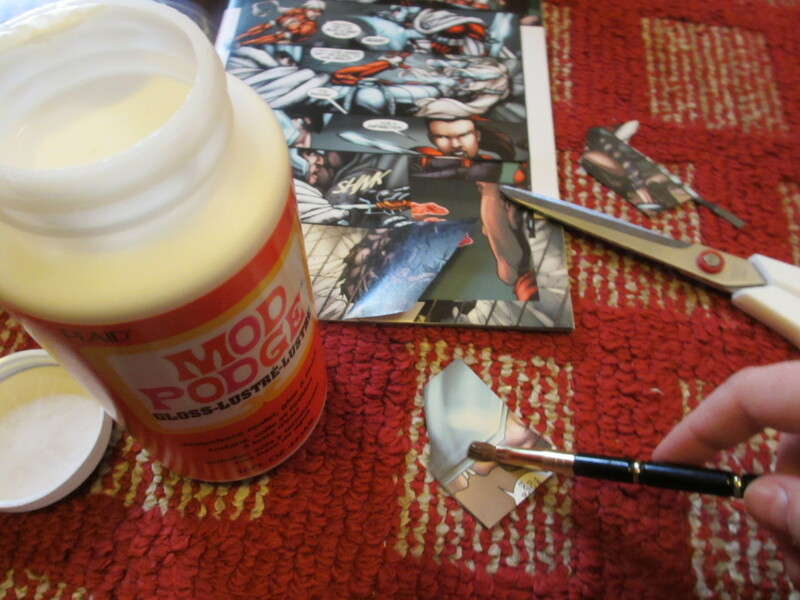 Use a small paint brush to brush a thin layer of craft glue on the back of each clipping. Don't use too much glue or the clipping may wrinkle when you set it in place, but be sure the entire back is covered evenly. 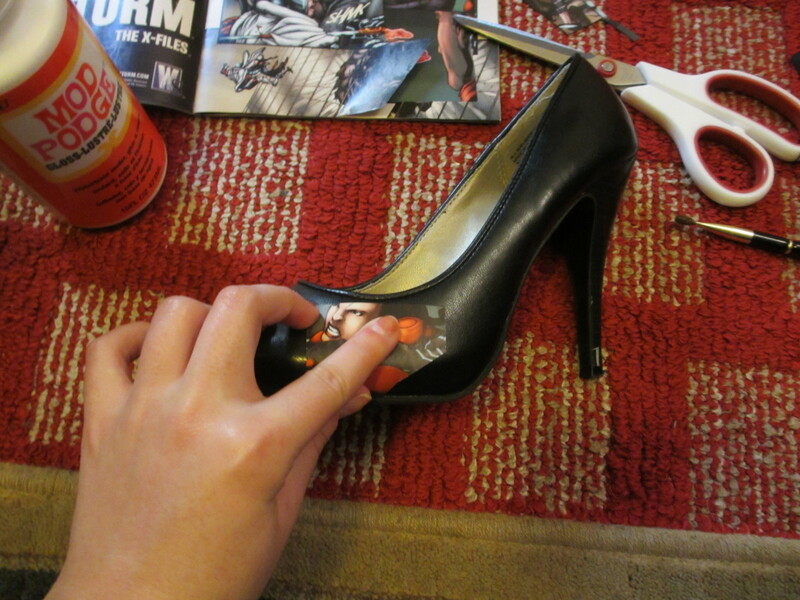 Press the glue-covered clipping firmly in place on your shoe. Be sure the corners of the clipping aren't sticking up. 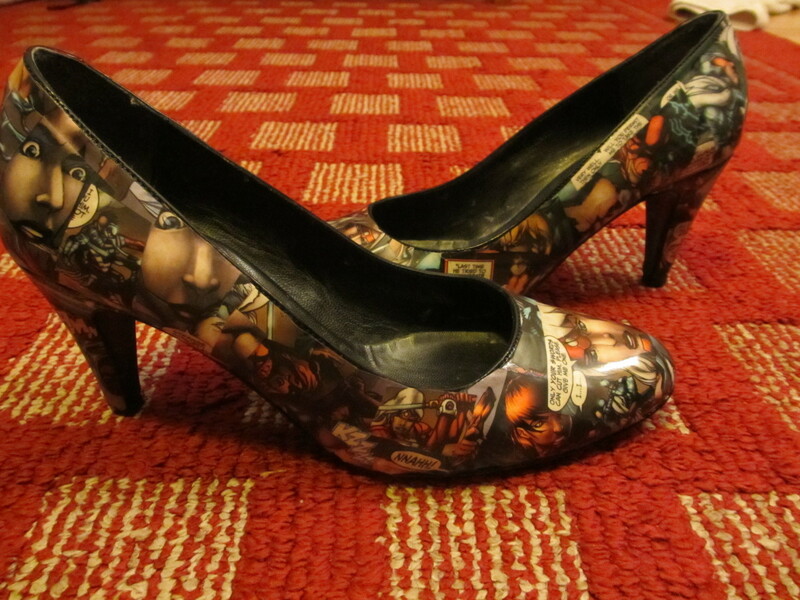 Keep going until both shoes are fully covered in comic book clippings. Stuff your shoes with tissue paper or newspaper to prevent the clear acrylic from getting on the inside. Find a well-ventilated area to spray down your shoes with clear acrylic. I opened the garage door and sprayed mine in the garage. Make sure you wear a paint mask or other form of breathing protection to keep from inhaling any acrylic. Use 2-4 coats of acrylic spray, allowing each coat to dry completely before applying the next (see the instructions on your particular brand of spray for more detailed directions). Strut your stuff and show off those pumps, girl! The clear acrylic spray should do a pretty good job of sealing and protecting the shoes, but it's best not to get them wet, just in case! Please consider leaving them in your closet on rainy days! This project is great for other kinds of shoes as well. 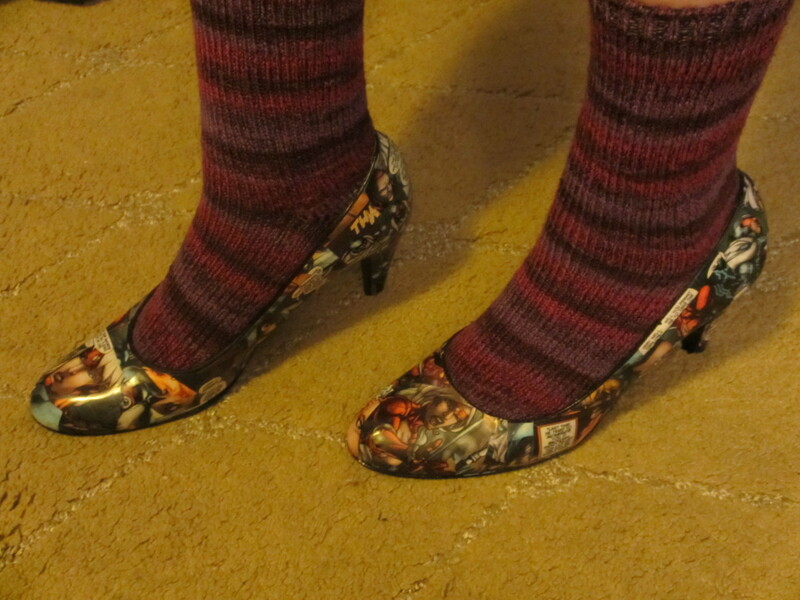 Consider making comic book flats, boots, etc, if you prefer other styles over high heels. Magazines and other printed materials work great too if you're not a comic book fan. Be creative! Good luck making your heels! Nope! 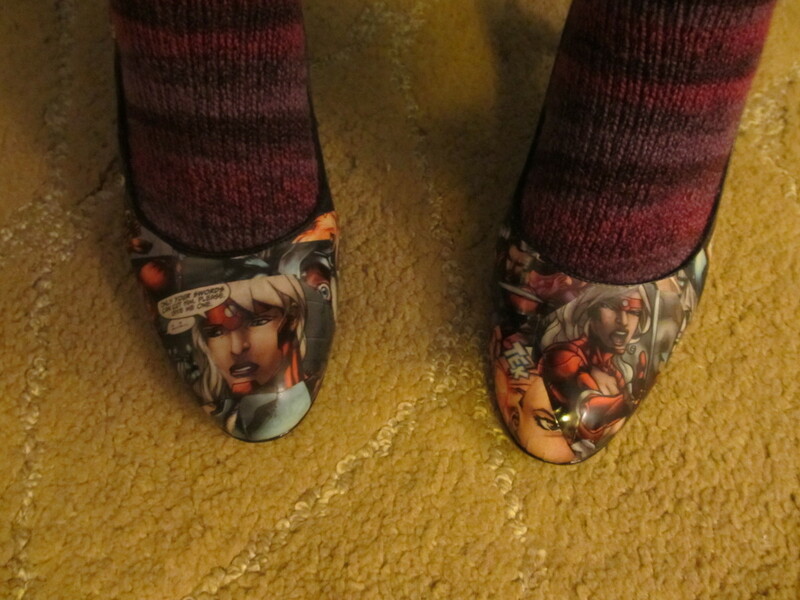 I just added the comic bits around the soles. No need to take the shoe apart. This also looks like a great idea for a pair of scuffed shoes I have - I take it you don't need to lift the sole of the shoe or anything? Sooooo this is how it's done! Been seeing a lot of these on Etsy :) Thanks for sharing, pal! Voted uuuuup! These heels are a kick! And you can wear them with so many colors. Voted UP! Wow! What a cool project and your shoes look amazing! My daughter would love to try this with anime. Great hub - voted up! These are amazing!! Well done. Would you mind me featuring them on my blog, just an image and a link to this hub for you? 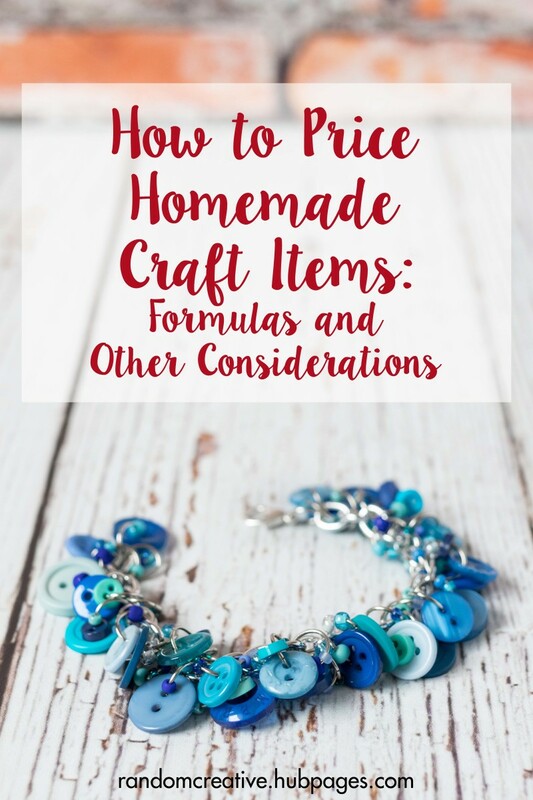 I have a pretty popular lifestyle blog and just think my regular readers would love this! Very original and very cute. It reminds me of a project I read about not long ago that encrusted a pair of heels with diamonds. This idea is much more economical. Wow, this is fantastic! This is how I make coasters - never would have thought of doing it on shoes. Love it, so creative. Voting up, sharing, pinning. 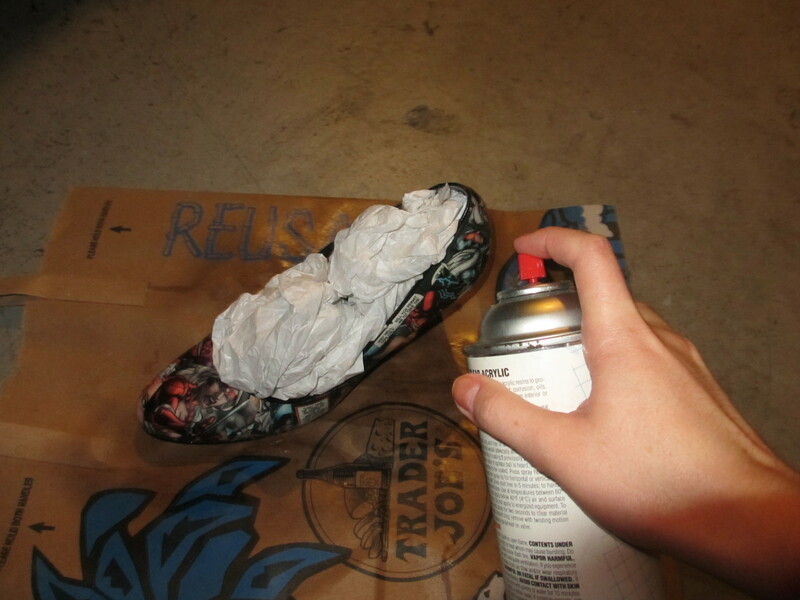 This is a really cool project and great to rejuvenate a pair of shoes. Shared around. That's pretty clever. Did the Mod Podge affect the flexibility of the shoe material or cause any warping? I use it to seal jigsaw puzzles, but if I apply more than two coats the puzzle curls a little. I guess shoe material holds up better than cardboard. Cat pictures would be ADORABLE! Or even better: LOLcats! So cool I cannot believe it. I can see doing the same thing with CAT PICTURES. Now that's a crazy cat lady. Awesome idea. LOVE this idea!!! 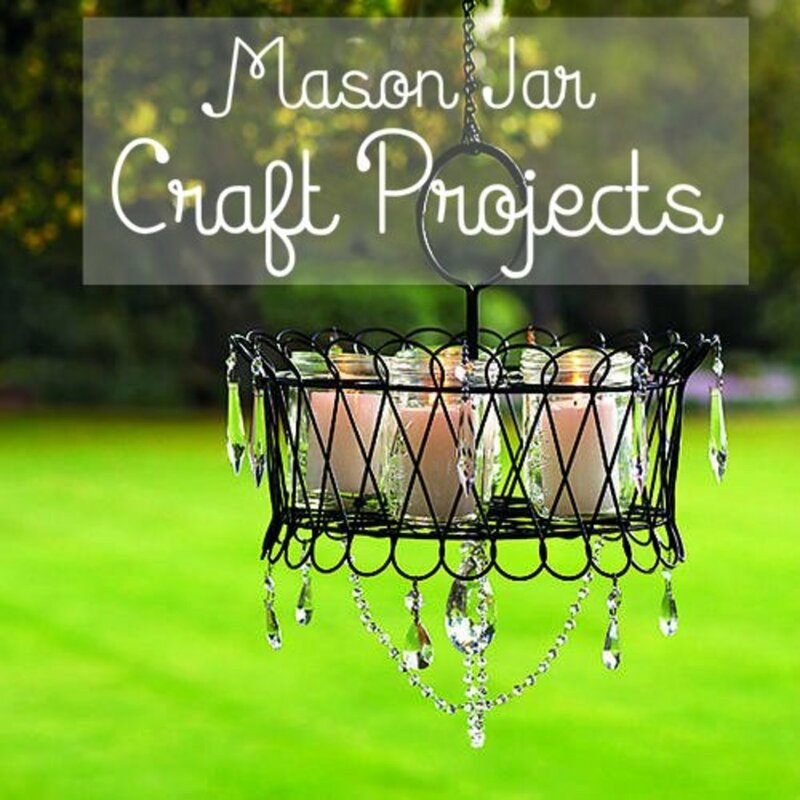 My teen girls love this kind of stuff and this would make a great one of a kind DIY gift. It looks so easy!! I can say from experience, however, be sure to wear the mask while spraying (as you have indicated)...my last DIY painting project gave me pneumonia from inhaling paint fumes and I'm still trying to recover (3 months later). Thanks truthfornow, grand old lady, and sallybea! I really hope you guys try this project out! What a great idea and what a lot of fun too. Thanks for sharing, voted up. Cute. They look like a professional job. I love the idea of nerdcrafts. Thanks, this project is super fun, I hope you enjoy it! I love this! Can't wait to try this and share the idea with friends. Voted way up and sharing. And I love the term "Nerdcraft!" This is so creative and neat! I would love a handbag that is done up this way, too. This is SO COOL! 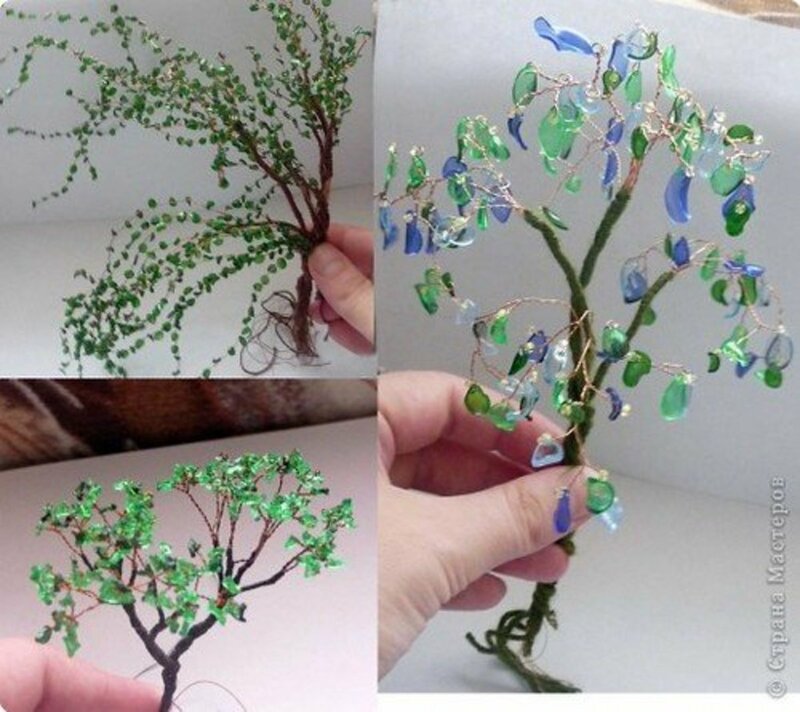 I love this craft project, and really want to have a go at it myself. Those pumps look so good!